A unique property at the North part of the island suitable for up to 5+1 guests is waiting for you and your beloved ones so that you enjoy the vacation you have been dreaming of. Leandros Holiday House offers 3 bedrooms, a fully equipped kitchen, a cozy living room with an armchair bed, a bathroom and of course spectacular views. You are invited to experience a warm and authentic stay here in our property. Leandros House offers all the essential you will need during your stay. Suitable for up to 5+1 guests, provides 3 bedrooms, one of them with a single bed and two of them with double beds. One can find as well a fully equipped kitchen, a comfortable living room with an armchair bed, fireplace and TV and a bathroom with shower. The surroundings transmit to the guests an authentic feeling of peace the exact moment you step into the property. Pets are also welcome upon request. 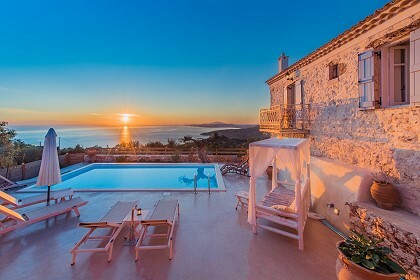 Leandros House among others offers free Wi-Fi internet access, air conditioning, amazing views and peaceful surroundings. Come and enjoy the unique hospitality of the owners and escape from daily life routine. 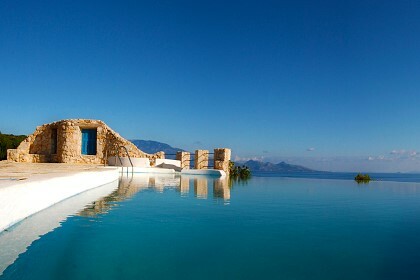 It is ideal for you to explore this beautiful island having Leandros House as a base. At 7km distance from the property you can find Porto Roxa with its transparent waters. The North part of Zakynthos, still untouched gives to the visitors the true aspect of Zakynthos, with its picturesque, charming villages such as Maries. Maries is the village where Leandros House is built and counts not more than 400 inhabitants. Surely you will enjoy your stay here with us and of course don’t miss a visit at Korakonisi, Shipwreck, Xigia beach and many other magical places Zante island offers.